Click the "Posters & Limited Editions" button above to browse thousands of available prints! Receive FREE shipping on all print orders. Call for details. 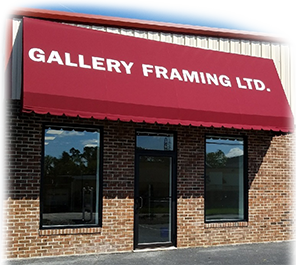 At Gallery Framing, Ltd. you will receive top quality custom framing. In addition, you can browse a tremendous selection of fine art in a gallery atmosphere. You will find unique artwork such as oil paintings, a variety of limited edition prints, and original artwork. The type of artwork will range from reproductions of the masters to contemporary works. If you are looking for custom picture framing, posters or original art by local artists in the Baltimore area including Timonium, Cockeysville, Towson, Lutherville, Mt. Washington, Owings Mills or Pikesville please make sure to stop by the gallery. We carry an inventory of 50-100 original oils on display. 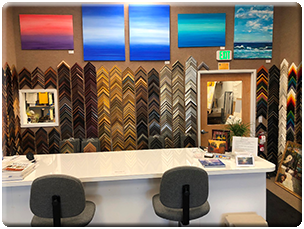 All framing is done on the premises with personalized service by a professional with a degree in Fine Arts, PPFA member and over 30 years of experience.